Here at the National Vessel Registry Center Corp., our goal is to help anyone who wants to utilize the Canadian ship registry best methods. For many, that means filing their paperwork online. Instead of having to print it out, and spend far too much time filing everything in by hand, we make it so that you can send all of this information in through your computer. The height of convenience and time saving, you can just send in the info how you want when you want. Everything we do with our site is done so that our clients don’t have to worry about their information and documentation. You can customize a vessel. You can give it the absolute best of everything. It can have radios, TVs, electronics, WiFi, radar, and so much more. It can have places for several people to sit and work. You can get a vessel that will be the absolute crown jewel of a body of water… yet, all of that is for naught if there’s a hole in it. All it takes is one hole in the wrong place, in a bad spot of the hull or elsewhere for your boat to begin to sink. In that case, all of the other stuff you added to your vessel to make it better didn’t matter. The same thing goes for our vessel registration site. When we began putting together our site, we knew that one of the most important things was the security of the site. We could put in the quickest document upload service. We could offer the most kinds of Canadian vessel registration; with document processors checking everything – but we also knew that if we did all that, and the online application process wasn’t secure, it would all be worthless. An online application site is only as good as its security. Fortunately, our security is top of the line. We did everything we could to ensure that we have the most secure site anywhere. Just as you wouldn’t trust a leaky vessel to haul your cargo, you shouldn’t trust an insecure vessel documentation service to handle your registration. That’s why we made ours as secure as can be: when you trust that an online application process is secure, it gives you one less thing to worry about. You don’t have to have that vague fear that you’re going to wake up to find that someone hacked your information, or that your identity was stolen. Security and integrity are two of the most important parts of our business. You can find all of the most used Canadian vessel registration forms on our site, right there in the middle of the site. Many of our customers use the Certificates of registration. However, a quick look at our site also shows all the other kinds of forms that we have as well. You can browse through our collection of forms and find the one that’s most right for your vessel and your situation. Should you have any questions about what’s the right documentation for your vessel, don’t hesitate to give us a call. We always love to talk to customers about this. By that same token, you can also talk on our online messenger service there, which should pop up when you come to our site. We take pride in offering customers the kinds of forms that they might not find in other locations. For example, we offer the “Application for Historical Research of a Vessel” forms. As you might imagine, these aren’t quite as popular as the Certificates of Registration, but they’re critical nonetheless for those who want them. We’ve made these forms easy to fill out. With our online access, we believe we’ve “cut out the middle man.” Now, instead of having to go through several layers of bureaucracy, you can just click on the forms through our site. An “Application for Historical Research of a Vessel” form can get you quite a lot of information indeed. To be sure, these forms provide information on vessels from 1984 through today, all through the Ship Registration Computer System Database. However, with these forms, you can get information on vessels that were registered before 1984 as well. You’ll actually get the information on microfilm if the vessel was registered prior to that year. This documentation can truly serve as a window into the past. There are some caveats attached to an “Application for Historical Research of a Vessel.” For example, you have to give us the vessel’s Official Number or Vessel Name. Preferably, you have both. However, if you have neither, then this particular kind of search will be a problem. We consider it to be genuinely impossible to successfully complete one of these searches without that information. Additionally, this is only for vessels that were registered. So, if you’re looking for information about unregistered vessels and similar information, that could be more challenging. Vessels licensed under the Pleasure Craft Licensing system won’t come up here either. That being said, like all of our forms, we made these as easy to fill out as possible. All you have to do is write the vessel name, put in the official number twice and then put your request for historical research into writing. The reports on these vessels can be quite lengthy, so if a vessel report is more than 12 pages, that might require some more work. That being said, you can search for vessels that are either active or non-active. So, no matter the registered vessel here, these forms can help you to perform more research on them. As with many of our other services, we don’t feel that “waiting” should be a big part of the vessel documentation process. So, we’ve added a rush processing/priority request button. That means that when you click on that, your documentation goes to the top of the pile. We mark you accordingly as a priority and take it from there. You’ll get your information faster, so you don’t have to sit around and hope that it’s in the mail. We see it as one more way that we can help our customers. When you own a vessel, sometimes you want to alter it, too. As you alter your vessel, so too do you alter your vessel documentation. We have an “Alterations” section so that you can make the changes you’ve made to your vessel known to others. You can report them easily through this form, taking care of it instantly. To be clear, you must report alterations in the same way in which your vessel was originally registered. So, that means you have to go through a marine safety inspector or certificate of survey if that’s how you registered your vessel in the first place. Don’t forget that you can register a government vessel through our site as well. You can register a tug boat, a work boat, a ferry, a barge, an air cushion vehicle, a passenger boat, even a fishing boat that’s not a sport fishing boat – these are all government vessels that you can register through our site. You can even record this vessel if it’s under construction right now. We feel that to be the complete Canadian vessel registration center one stop shop, we should offer our customers as much as possible. You can find Canadian vessel registration in lots of places, but only our third party processor offers this amount of services for your Canadian vessels. 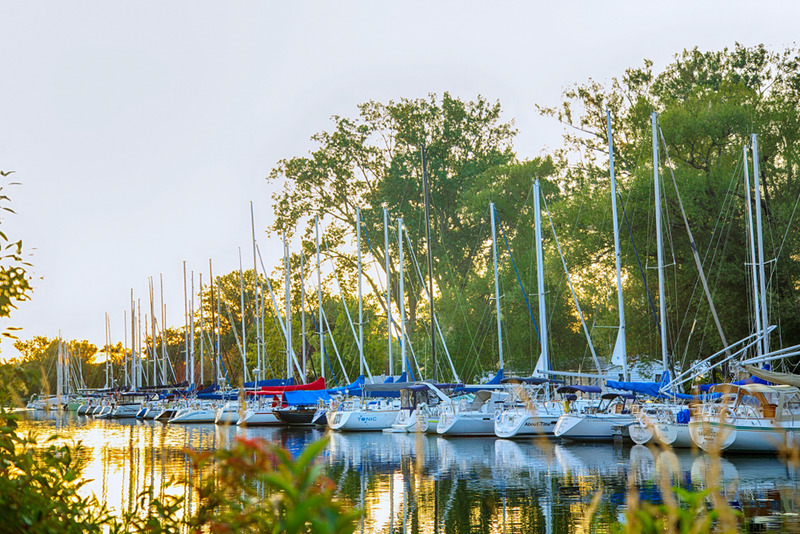 Before you take your vessels out in Canada, whether they’re pleasure boats, fishing boats, the boats that will launch your maritime business or anything in between, you want the registration that makes your journey legal. For more information, give us a call at (800) 419-9569 or head to our site.